Since 2004 I have been a certified Reflexologist. During a treatment pressure is applied to specific areas of the feet that correspond with different areas of the body. 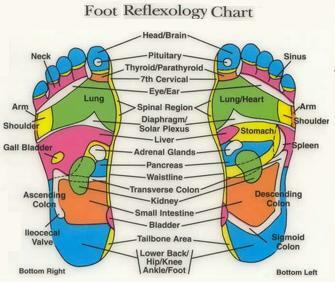 Reflexology works with a physical and Energetic map of the feet. Please ask about the use of a personalized blend of essential oils during treatment. I find that essential oils can offer gentle support during and after care. Unscented treatments are also available. *optional includes 15minutes of a neck and scalp massage prior to working on the feet for 45 minutes.